Method Acting and Its Discontents: On American Psycho-Drama provides a new understanding of a crucial chapter in American theater history. Enelow’s consideration of the broader cultural climate of the late 1950s and early 1960s, specifically the debates within psychology and psychoanalysis, the period’s racial and sexual politics, and the rise of mass media, gives us a nuanced, complex picture of Lee Strasberg and the Actors Studio and contemporaneous works of drama. 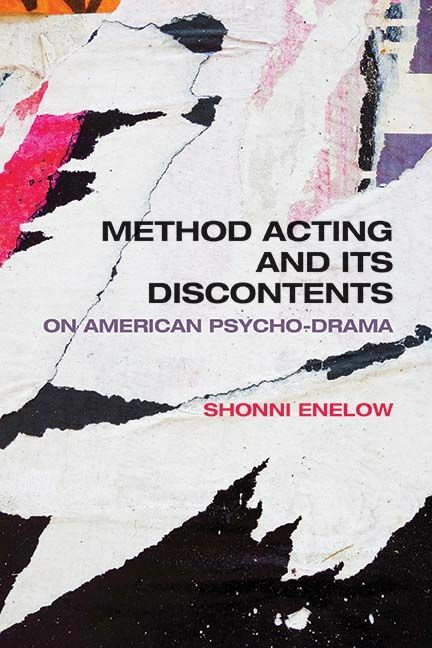 Combining cultural analysis, dramaturgical criticism, and performance theory, Enelow shows how Method acting’s contradictions reveal powerful tensions inside mid-century notions of individual and collective identity.